Returning to the Upside Down – Zero Equals Two! Revisting 1980’s Hawkins, Netflix releases Stranger Things season 2 today. What do we know about the new season? 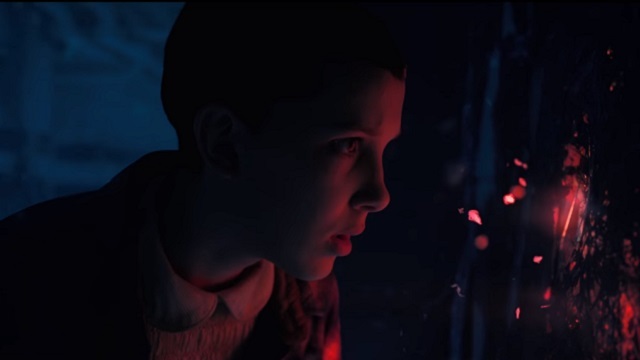 Netflix released some “spoilers,” and we know that Eleven may have escaped the Upside Down. Other than that, you’ll have to binge it with the rest of us! As Frater Lux Ad Mundi noted in The Casual Quabalah of Stranger Things, season 1 included “…details that seemed to indicate some small acquaintance with the ceremonial magick basics.” Will season 2 continue the same trend? The articles below may give us some clues. Stranger Things’ Creators on Season 2, Binge TV, and Foulmouthed Kids. Stranger Things’ spoiler tweets reveal the nightmare future of marketing. Watch Eleven escape the Upside Down in this new Stranger Things clip. Why this ‘Stranger Things’ character’s mysterious daughter could be important on season 2.